Finally, the map of Misamis Oriental is here. 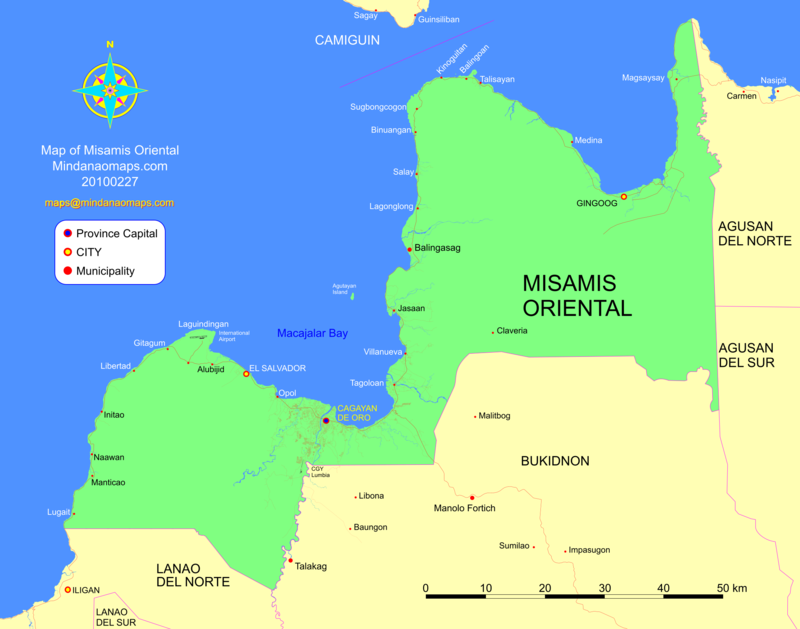 Misamis Oriental is a part of Region X and the capital city is Cagayan de Oro. It is also the biggest city in Region X.
Click the image for the Pdf version or click here for the PNG version. Please note that the Pdf version has more details.